Any process that maintains the redox environment in aerobes is defined as redox homeostasis. Redox homeostasis is disturbed in favor of a prognostic situation either due to increase in generation of reactive oxygen species (ROS) or due to collapse of cellular antioxidant defenses. Both conditions are greatly affected by environmental factors, and thereby, manipulate physiology of aerobes. Rise in aquatic habitat temperature induces oxidative stress in fish as a consequence of accelerated generation of ROS as by-products of elevated metabolic activities. Reactive oxygen species, if not neutralized, oxidize biomolecules present in their vicinity and impairs their biological properties and, thereby, cellular physiology. The phenomenon is referred as “oxidative stress”. Augmentation of oxidative stress is linked to various pathophysiological states reported for aerobes. Also elevation in temperature of marine or brackish water bodies results in augmentation of salinity which in turn induces oxidative stress in fish and other aquatic fauna. This may have dire consequences on fish by accelerating aging phenomenon as oxidative stress and aging are interrelated processes. Thus, it can be predicted that exposure to short intense or long gradual rise in aquatic habitat temperature due to global warmingmay trigger oxidative stress in aquatic fauna including fish which may affect their growth pattern, reproductive capacity, survivability and finally longevity. Fish are one of the major components of global ecosystem. Any imbalance in fish population will not only affect aquatic ecosystem but also may have dire long term consequences on global food chain. 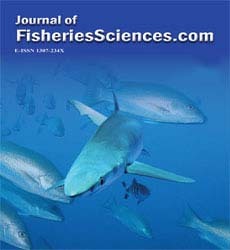 Therefore, more research must be focused not only to understand the physiological aspects related to oxidative stress in context to thermal stress for better health status in fish but also to develop new strategies for fish endurance it as thermal stress is imminent outcome of global warming.